Farm Holiday Sole Luna 43.103397, 12.662028 Località Costa di Trex, 54 - Ponte Grande area5 minutes drive from the center of Assisi, panoramic views over Park of Subasio.Tourist apartments of various sizes complete with kitchen, 1-2 bedrooms, bathroom, private entrance, parking, garden and swimming pool. 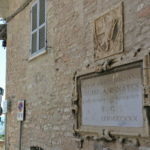 The farm is five minute drive from the center of Assisi. It is located on a panoramic hill from where you can enjoy, in its entirety, the Mount Subasio Park zone. 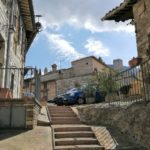 A short distance from the property there are two of the best restaurants in peasant cooking of Assisi, a bar with a convenience store. It has full apartments with 1-2 bedrooms, bathroom, kitchen, independent access and autonomous heating. The green surrounding is owned of the farm, has a garden with olive trees, a car park a few meters from the accommodation, a gazebo with tables and barbecue and a swimming pool with views of the park. The property is suitable for couples and families who enjoy the independence of autonomous accommodation. It’s welcome who loves the tranquility and nature; who is passionate about art cities will appreciate the comfort of being just a few kilometers from places such as Assisi, Spello, Gubbio, Perugia. Staff housing is available for advice on places to visit, for maintenance or just for a chat. 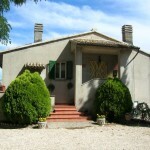 Visit the site of the Farm Holiday SoleLuna apartments Assisi.